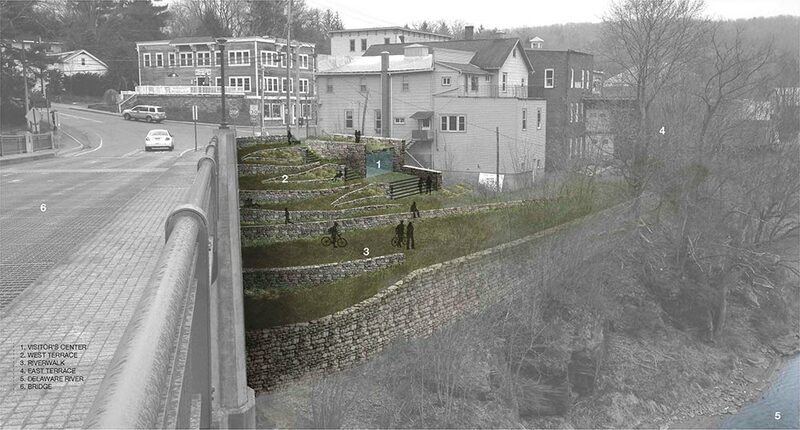 The Narrowsburg Esplanade project, proposed on the shore of the Upper Delaware Wild and Scenic River, in the town of Narrowsburg, NY, has two primary objectives; to rehabilitate and restore the eroded conditions along the riverbank and to create an inviting riverside park providing a connection from Main Street to the river. The design is conceived around a terraced landscape that cascades down to the river, a pedestrian river walk that connects the Veteran's Memorial overlook to the Main Street public deck by meandering through sculpture gardens to vantage points overlooking the Big Eddy. The fieldstone walls of the terraces are designed to be built in the local vernacular, using natural materials and employing the regional labor force. 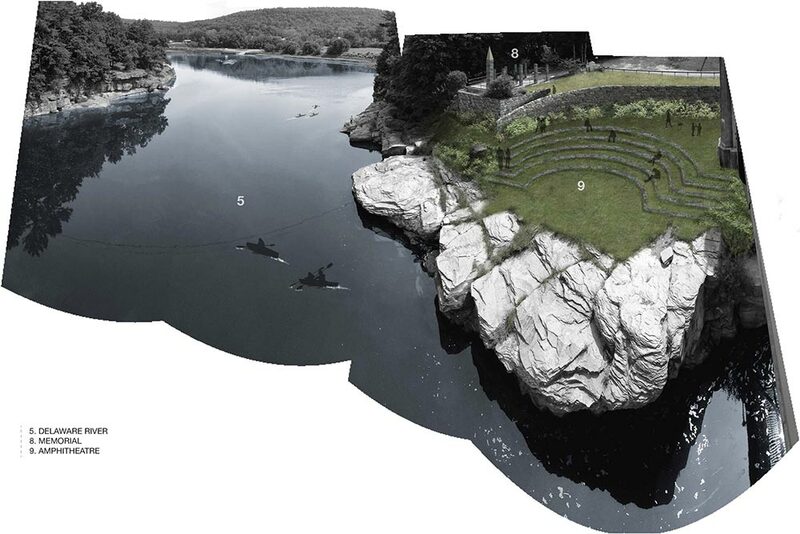 This work is imagined as a model for continuing the craft of traditional stone construction and building a local mason and quarry apprenticeship program, reviving interest in Delaware River bluestone, a resource industry that dates back to the 1860’s and was once an anchor of the economy. Access to the riverfront along the Upper Delaware is to a great extent restricted to private land, and the limited public access that exists has not been integrated into the towns and hamlets. 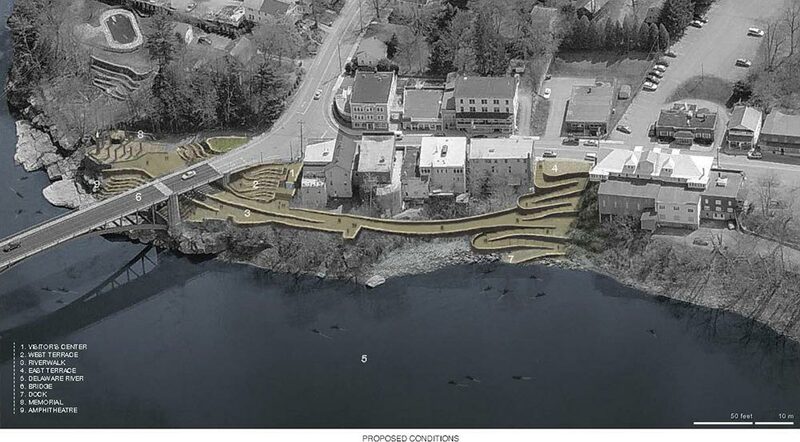 This project in the historic downtown of Narrowsburg, aspires to attract visitors where they can be introduced to the culture and arts community, farmers’ markets, and the educational and environmental attributes of the Upper Delaware River National Park.